I know…I know. I’m leap-frogging right over Thanksgiving and making a beeline for Christmas. 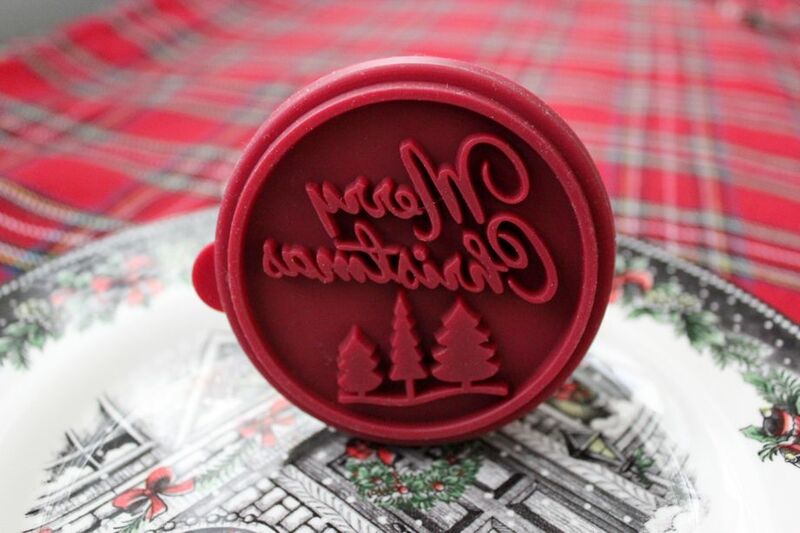 Couldn’t help it, though, because I’m anxious to share my first 2014 Christmas cookie. 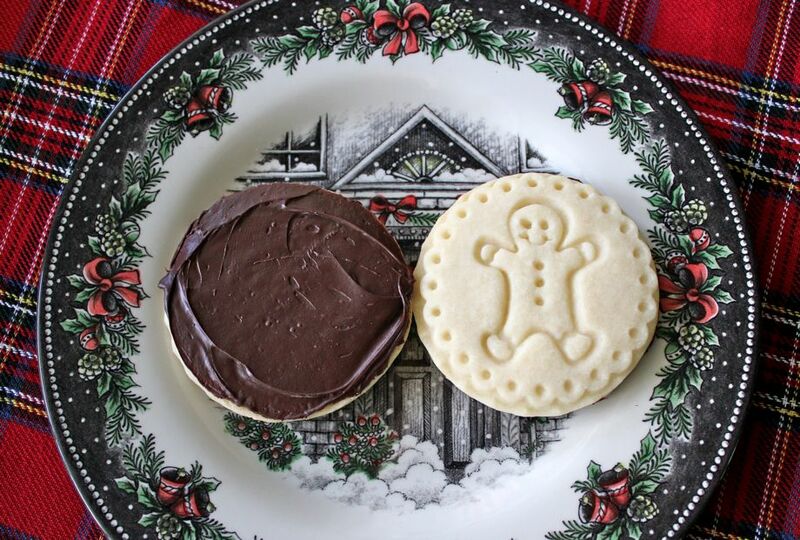 It’s a deliciously crisp and buttery shortbread cookie with a thin layer of dark chocolate beneath. The stamps measure approx. 2 3/4″ across, so it’s a pretty good-sized cookie. I’ve done a brief on-line search for them, and I was unsuccessful. There are, however, some beautiful cookie stamps at Rycraft. I used their snowflake stamp last year with great results. Cream together 1/2 cup sugar and 2 sticks (8 oz.) salted butter*. In a separate bowl, combine 1 3/4 cups all-purpose flour and 1/4 cup rice flour. Add slowly to creamed mixture and mix until fully combined. Wrap dough in plastic wrap and refrigerate for 15 minutes. Roll out dough to 1/4″ thickness, sprinkling scant amount of flour on dough for easy rolling. Dip stamp into flour and press into dough. 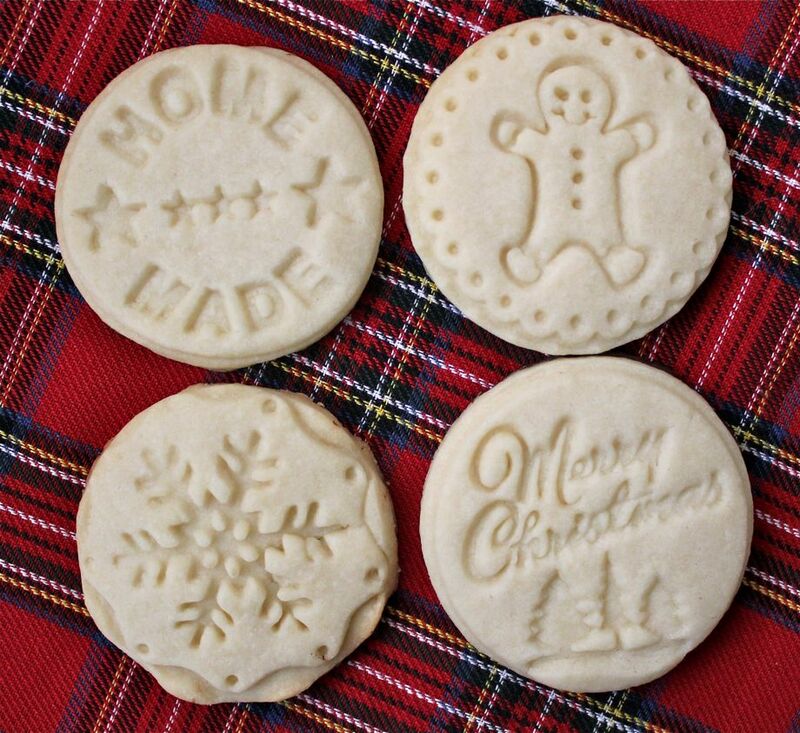 Using a plain, round cookie cutter (approx 2 3/4″ in diameter), cut around the stamped shape and place on a cookie sheet covered with parchment paper. Bake at 350 degrees until the edges are lightly browned, approx. 15 – 20 minutes. While cookies are cooling, melt 1 cup dark chocolate chips and 1/2 teaspoon shortening on medium power in the microwave. Set timer for one minute and stir. Repeat in 30-second intervals until chocolate is smooth and glossy. Using a table knife, spread melted chocolate over bottoms of cooled cookies and let set overnight to dry. 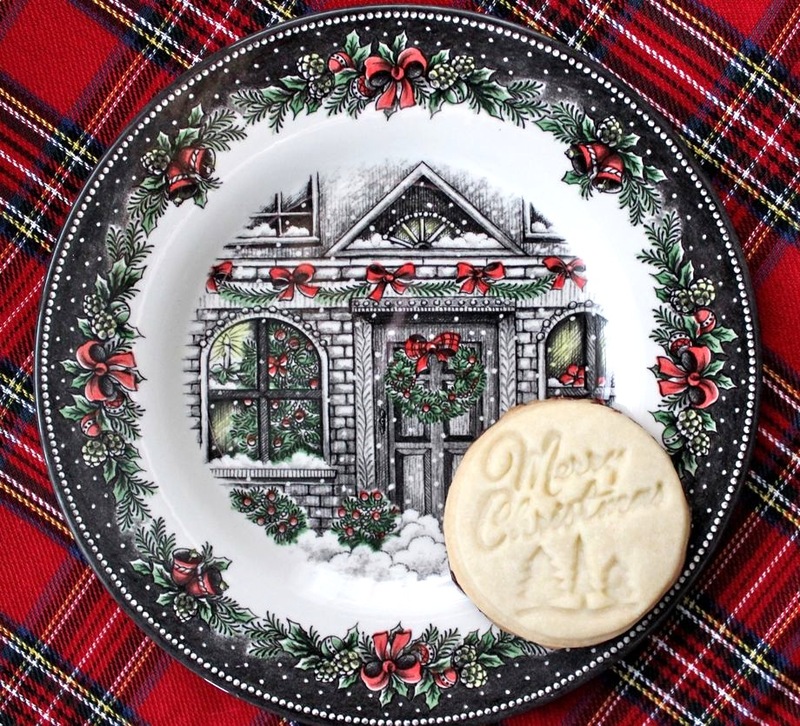 As I was doing some shopping last week, I found these holiday dishes that I TOTALLY fell in love with. I stood there, dishes in hand, and asked myself that age-old question “do I really NEED these????”. The answer…an unequivocal “NO”. I just scored a good deal on butter, so I’ll be trying these cookies tomorrow, shortbread being Liam’s favorite. 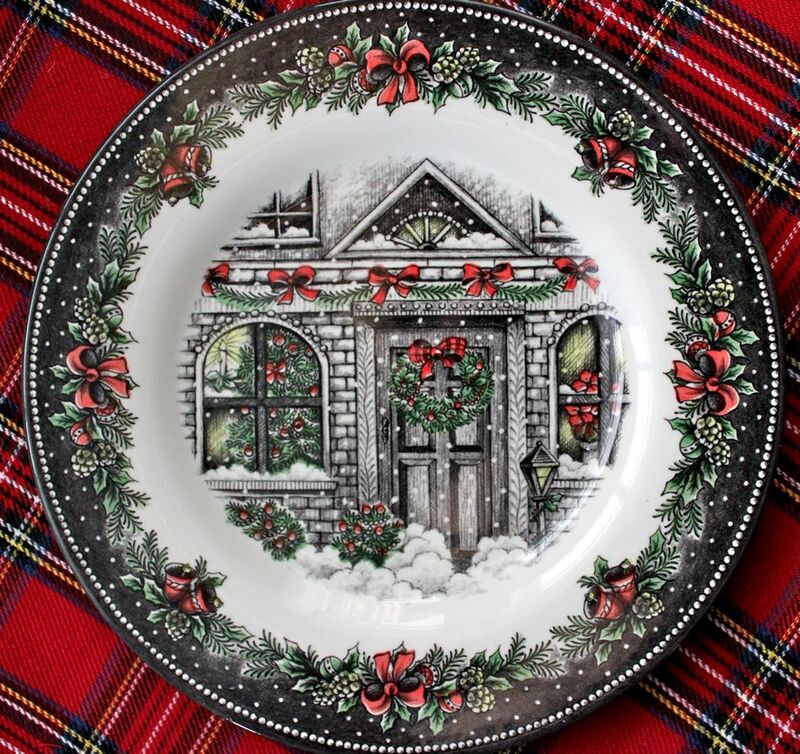 Now to figure out how to justify a new set of Christmas dishes…. HaHa…(’bout the plate). Good one. Cookies look great, love the chocolate addition to the bottom too! I want to eat as many of these cookies as can fit into my body.